Last week, for spring break, DH and I took Supergirl (SG) and her parents to Disney World. It was super fun, exhausting and crowded. SG fell in love with Mickey’s new bear friend, Duffy, and collected a few. We had adjoining rooms with her parents, and she chose to sleep in our room. 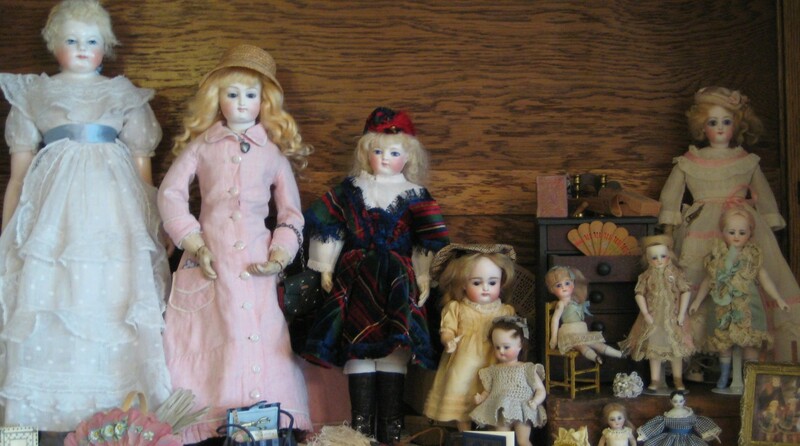 The last time she and I cleaned her bedroom at my house, she wanted to get rid of all the dolls. I think that, at 8 3/4, she thinks that dolls aren’t cool. But it seems that bears are a good substitute. I usually take sewing or embroidery along with me on trips, but this time I didn’t think I’d have time to get anything done. I was right. Since I’ve been back, I’ve been working on the fiddly work of finishing the inside of my doll-sized casket. It is definitely not a straight forward endeavor. It takes a lot of problem solving. Hopefully I can get it done soon so that I can start making more caskets. I am very proud of how I worked out the drawer pulls. They look exactly like the 17th-century ones, only tiny. I have also worked a bit on the trinket box embroidery. In this video, I learned how to do a 17th century variation of drizzle stitch. The video is wonderfully done by Rachael Kinnison and very thorough. But the stitch was giving me problems, so I had been procrastinating until I saw another video. I’ve been following Alison Cole Embroidery for a while and ran across her mini demo on this video about the exhibit, Exquisite Threads English Embroidery 1600’s-1900’s, now on display in Melbourne, Australia. She call it over-twist stitch. I got it! and have finished the stringy grass. The light green part at the bottom is the new, improved grass. I now need to decide if I need to un-stitch my first attempts or just try to tame them a bit and consider it a learning experience. I’m leaning toward plan B.
I was excited to read on Facebook that Alison is working on a book. Sometimes it takes more than one teacher to make a solution “click” in my brain. The grass around the castle is next and I’m thinking about the cut velvet stitch Alison also showed in the video. I have studied written directions for it, but Alison made it seem fun. Real life has presented some challenges lately and I’m working through them, but it’s been good to get lost in creating and stitching. It’s my meditation.